An article about a person Team-Yellow founder knew in Hong Kong! For Hong Kong-born, global fame began simply, and sweetly – with a vanilla-cream iced cake. One spring evening, the mother of five walked out of her centuries-old farmhouse in France’s Médoc region to find a surprise. Shaking off a long winter, dozens of miniature white daisies were blooming in the garden. Inspired, she hurried into the kitchen and whipped up a meringue cake, artfully decorating it with flowers, leaves and berries. “I wanted this cake to be a celebration of spring, of the garden, a fairy tale,” she says in a delicate accent that is equal parts Chinese, French and British. When it was ready, she posted a photo of her “Garden Cake” online. Her seasonal concoction was pinned, posted and tweeted all over the world. She started that night with 69 followers – “they were all my friends”, she says – but within a couple of weeks the numbers exploded, Martha Stewart Living and O magazines contacted her, as did a literary agent who suggested she write a book. That was when her blog, Manger, was born. “It was a gift from spring and I am forever grateful,” she says. Thorisson has found much to be grateful for since she and her husband, Icelandic photographer Oddur, relocated their family to Médoc from Paris in 2010. Manger, which features favourite classic recipes for coq au vin and slow-cooked lamb, and a few wildcards such as wonton soup, is followed by foodies worldwide. The photographs, snapped by Oddur, capture her friendship with farmers and villagers in Médoc, and life with their children. Thorisson has also been tapped to star in two cooking shows on French television. It’s not hard to see the appeal. The 40-year-old lives the life many people fantasise about – one afternoon she is chopping vine tomatoes in her farmhouse kitchen and looking smashing in a floral sundress, on another she’s plucking peaches from the garden, chatting with a fishmonger about his secret bouillabaisse recipe, and so on. No wonder many have described her as the most envied blogger in the world. The year ended with even more success for the former Happy Valley resident. She published her first book, A Kitchen in France: A Year of Cooking in My Farmhouse, which soon topped the ranks of Amazon’s bestselling book in two categories: seasonal cooking and French cooking. Today, life revolves around her family and her blog, which has become her family business. Most days, she wakes early to walk the dogs – 14 and counting – and get her five young children off to school. Then she makes her rounds of the markets, picking up the catch of the day from a fishmonger, or pears from a farmer. Some might see the endless chopping, measuring, mixing and frying as drudgery, but cooking is a joy for Thorisson. Food has always been a big part of Thorisson’s life. Growing up an only child, she and her Qingdao-born father would scour Hong Kong for the best noodles and dim sum. Her French mother didn’t cook much but during summer holidays in France her grandmother and aunt would make classic meals for her. Mimi Thorisson and her five children. Thorisson always looks forward to the New Year because it conjures up deep memories of the wonderful meals she has had in Hong Kong and France. She and her husband typically start New Year’s Day with a glass of bubbly, before she prepares a huge seafood platter, with the freshest oysters, langoustine and crab. Or in a nod to her Hong Kong roots, she might make e-fu noodles with lobster, her favorite food. “I mix everything because of my heritage,” she says. She wistfully recalls Lunar New Years of her childhood, when her father would take her to visit her cousins in Qingdao. “We would make those amazing dumplings. 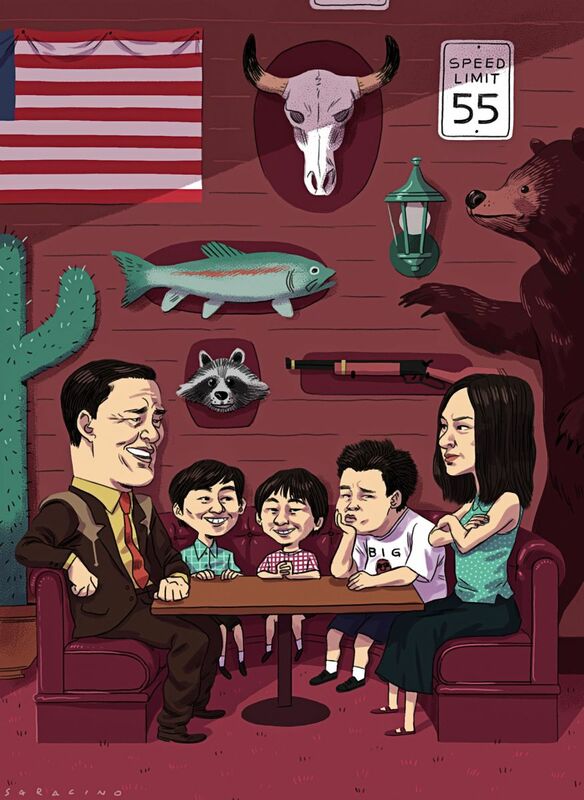 My father always insisted that we stay in our cousins’ houses, and not in a hotel, so that I would be closer to them. It was so important to him that I was exposed to Chinese culture,” she says. As it is with so many chefs and food writers, Thorisson connects to the beloved people and places in her life through food and cooking. It has since also given her a chateau of her own. Earlier in 2014, she and Oddur were visiting friends in a village nearby, when one of them suggested they view a grand old house that was for sale. The chef turned it into a restaurant and hotel for wine merchants visiting Bordeaux. Now Thorisson finds madame’s notebooks and recipes in the “weirdest” places. “As soon as I walked in, I felt the recipes I want to cook coming through to me. I already have the draft of my second book [scheduled for 2017]. I believe in destiny, and this house is magic. 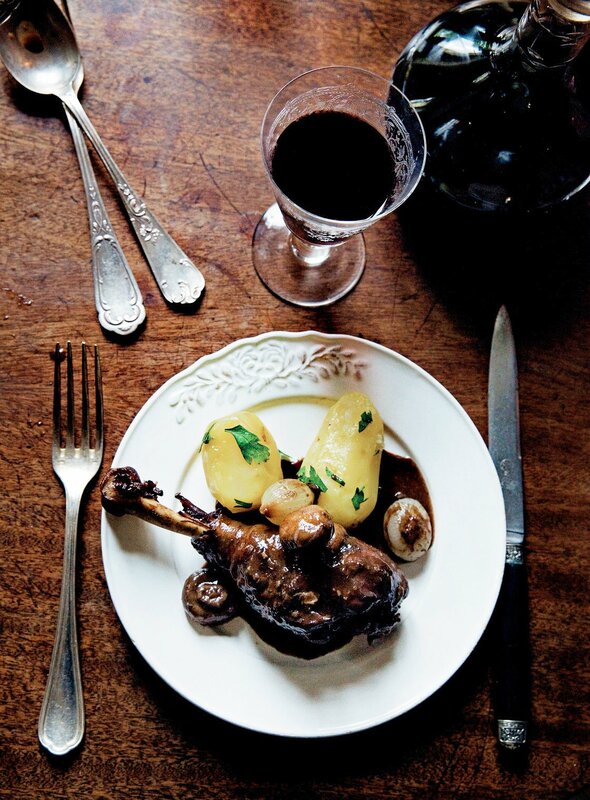 Médoc has truly become my home,” she says. 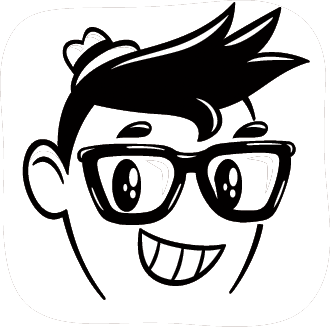 Julian Fukue introduced the concept of poke to a completely new audience this past year. 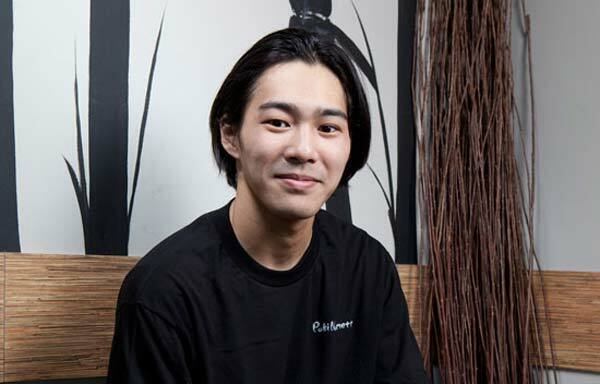 The 23-year-old chef hails from Orange County, CA, where his famous PokiNometry restaurant is based from. Fukue brought the Hawaiian dish of ahi tuna into the mainstream with his innovative Poke Bowls. The tuna and rice bowls are what made Fukue arguably one of the youngest entrepernuers in the OC poke industry. When the humble poke-themed restaurant opened, Fukue set a goal for himself of 100 bowls sold each day. In the weeks to come, however, the bowls began selling like mad. Thanks to word-of-mouth, PokiNometry became instantaneously famous and began selling around 800-1,000 bowls a day. Fukue came from a restaurant background. When he was a kid, his mother purchased Tustin-based Tommy’s Sushi. There, Fukue learned the ins and outs of the restaurant game starting from the bottom as a dishwasher and working his way up to sushi chef. One dish, in particular, stood out for him: the Poke Bowls. The concept of the PokiNometry is similar to Chipotle, where customers would line up and assemble their bowls in a customizable fashion. The quick-service restaurant eventually became so busy that Fukue had to close the restaurant down in order to restock and train more employees. He reopened weeks later. Fukue is set to open a second location of PokiNometry in Hollywood. 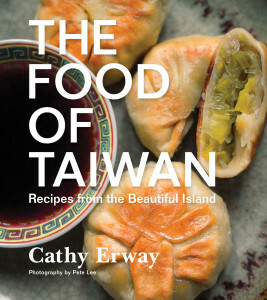 Her name may belie the fact that she grew up with family dinners prepared by her Taiwanese mother and uncle, but Cathy Erway, author of The Art of Eating In: How I Learned to Stop Spending and Love the Stove and the blog Not Eating Out In New York (both essential DIY readings for NYC-dwellers), wants to spread the gospel of Taiwanese food. Using her knack for sharing personal discovery and appreciation for food from farm to table, her forthcoming cookbook, The Food of Taiwan, introduces the cuisine and culture that is much loved in Asia as a unique jewel but has only recently gained recognition in the United States thanks to an increasing number of Taiwanese restaurants and social media-friendly articles like CNN’s “45 Taiwanese Foods We Can’t Live Without”. 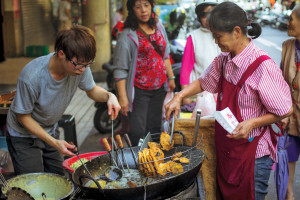 To master Taiwanese cooking, Cathy spent time in Taiwan visiting restaurants and night markets and researching recipes and techniques. However, much of what makes Taiwanese food so interesting is found outside of the kitchen. 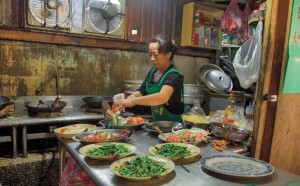 She also explored the sub-tropical island’s local ingredients — vegetables, herbs, spices, and bountiful catch from the sea — as well as the complex historical, social, and ethnic influences and confluences that led to the remarkable diversity of Taiwan’s food. 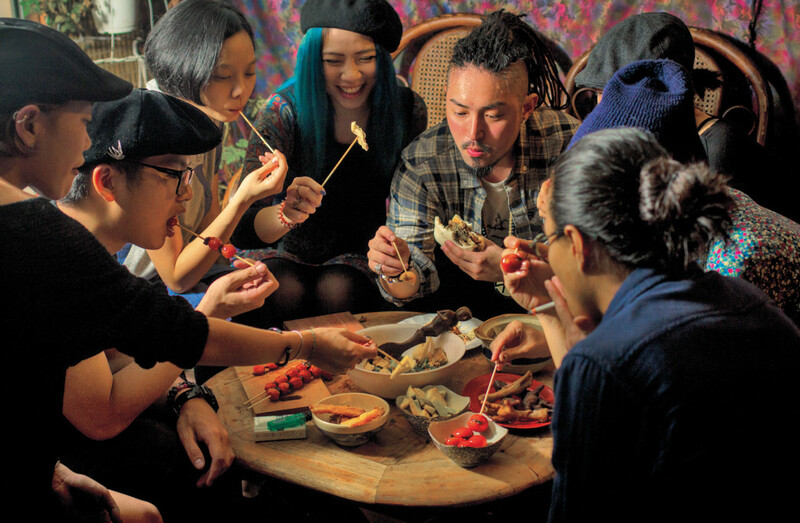 The joys of sharing the kitchen and table were an important part of her culinary experiences in Taipei. Cathy got in with the locals and found herself helping with the preparation a banquet for three generations of a family and another for a group of old friends that often gathered at a shop turned teahouse. Back in New York, her recipes were perfected at six “Taiwanese Test Kitchen Dinners” at her apartment in Brooklyn. At each dinner, ten dishes were prepared for and served to ten guests, allowing Cathy to test her recipes and receive feedback, some of which led to realization that people here might not be ready for bitter melon. As one of the few English-language cookbooks dedicated to this cuisine, The Food of Taiwan is poised to get a new audience salivating over the food from the island of 23 million and shows another facet of the unending diversity of the Chinese-speaking world.The Food of Taiwan presents traditional recipes, like this recipe for Dried Radish Omelet (菜脯蛋), (a salty-sweet omelet with a crunch that is often eaten with congee, but is great on its own), as well as Cathy’s own creations that incorporates Taiwanese cooking techniques and flavor combinations, like cilantro and peanuts. The Food of Taiwan is published by Houghton Mifflin Harcourt and will be released on March 24, 2015. Pick up your copy online at Amazon. For updates on the book and events, follow the book’s Facebook page.